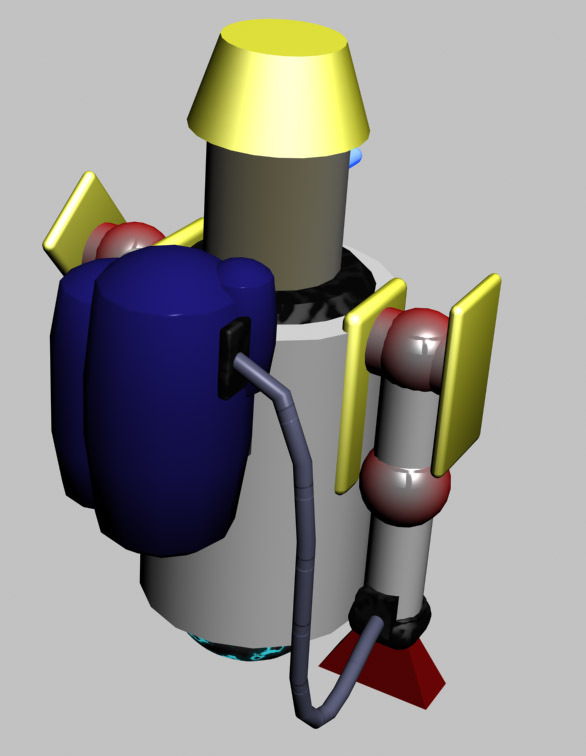 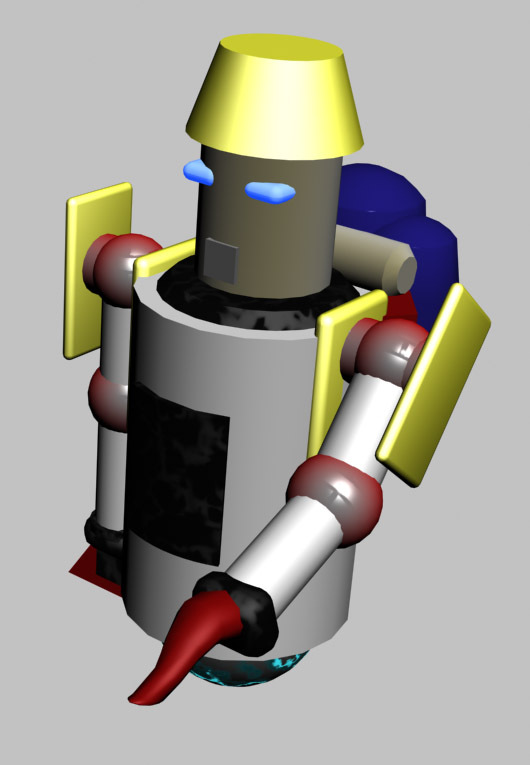 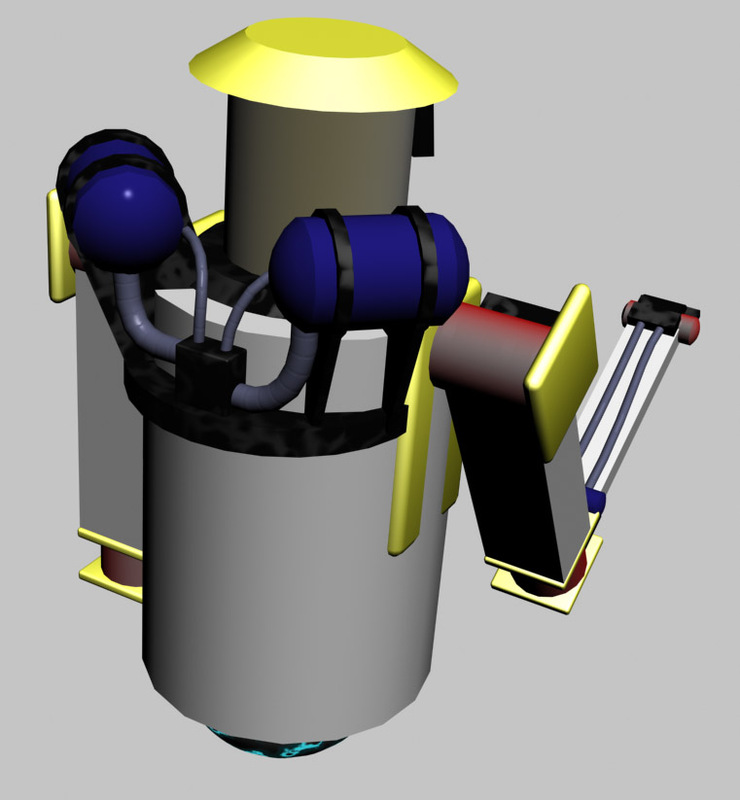 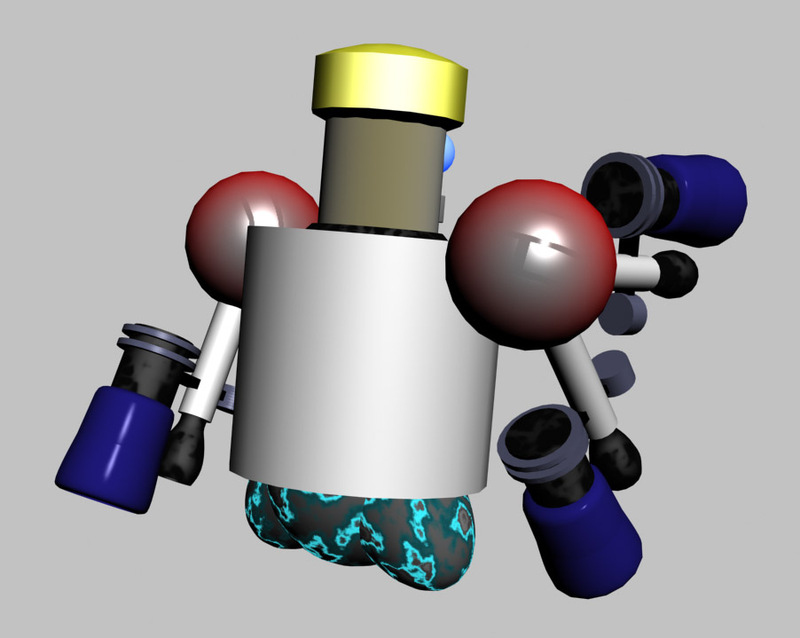 The Magellan Project was a game concept for a younger audience that revolved around a group of 4 construction robots. 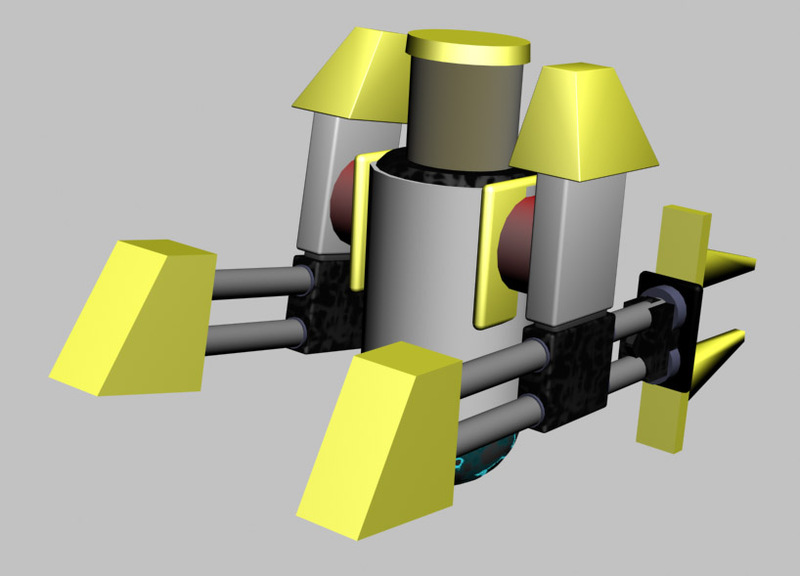 The 4 belonged to the Magellan Interplanetary Construction Corps. 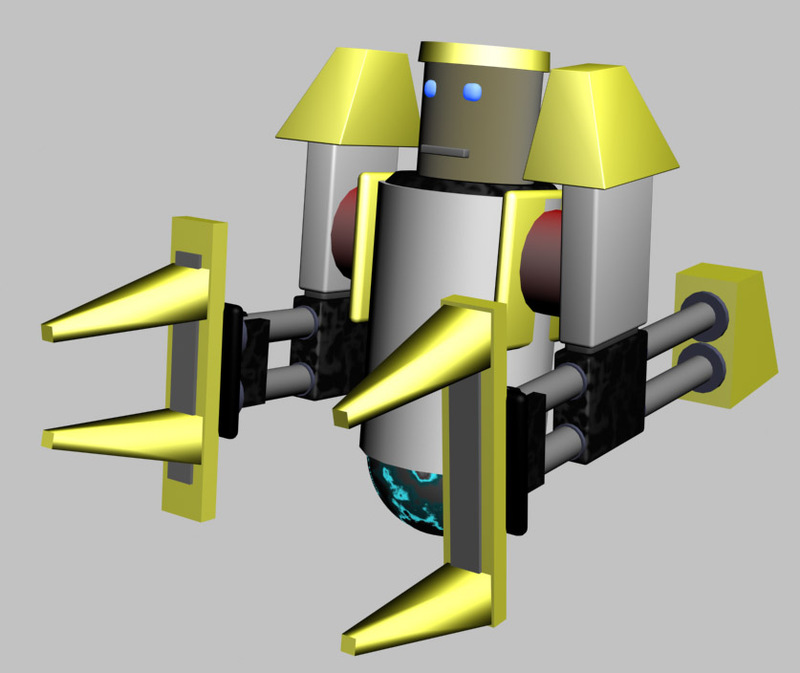 and were mistakenly deployed to a deserted planet and needed to work together to build a transmitter to be rescued. 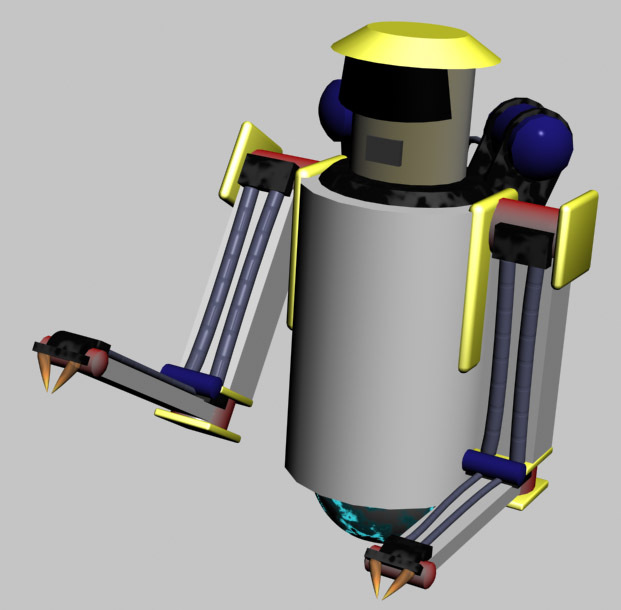 1-4 players needed to use the different robots together in different ways to solve puzzles and avoid danger in order to be rescued. 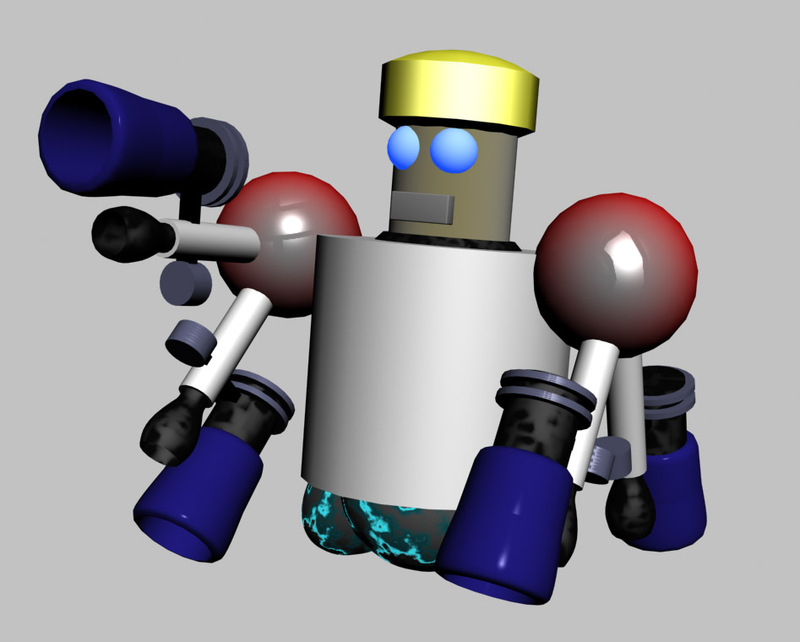 My task here was to create a few art assets with the direction that they were to be kept very "simple" to fit the more casual nature of the game. 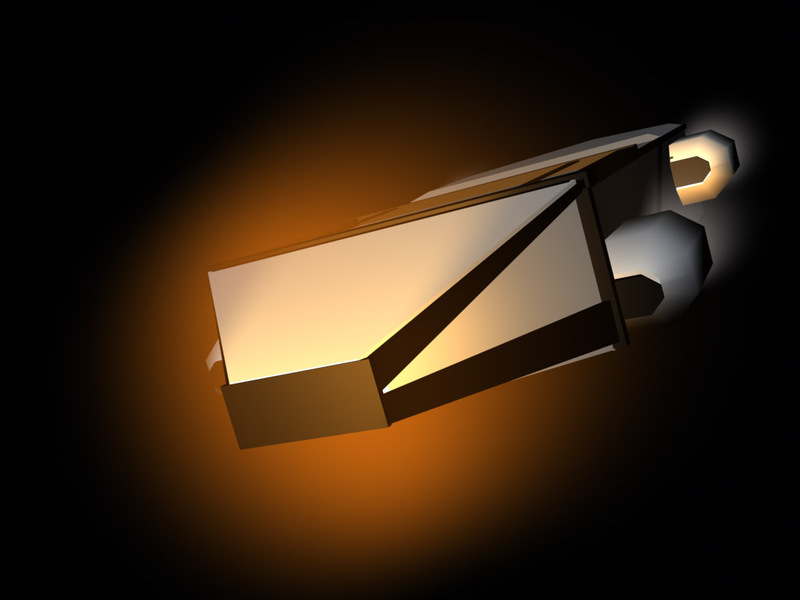 All 3D work done with 3D Studio Max. 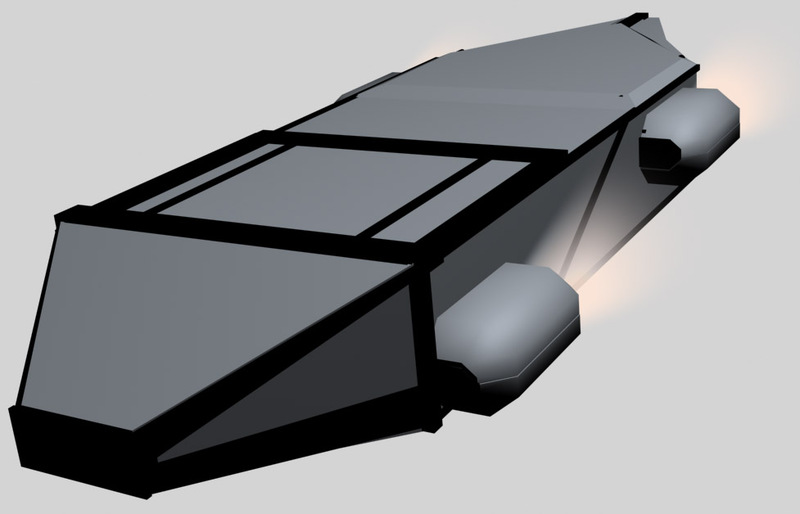 View of dropship in re-entry mode. 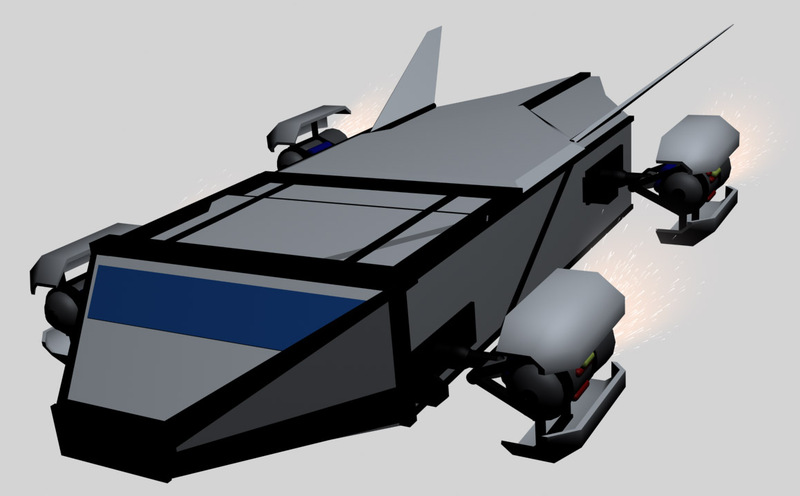 View of dropship in flight mode. 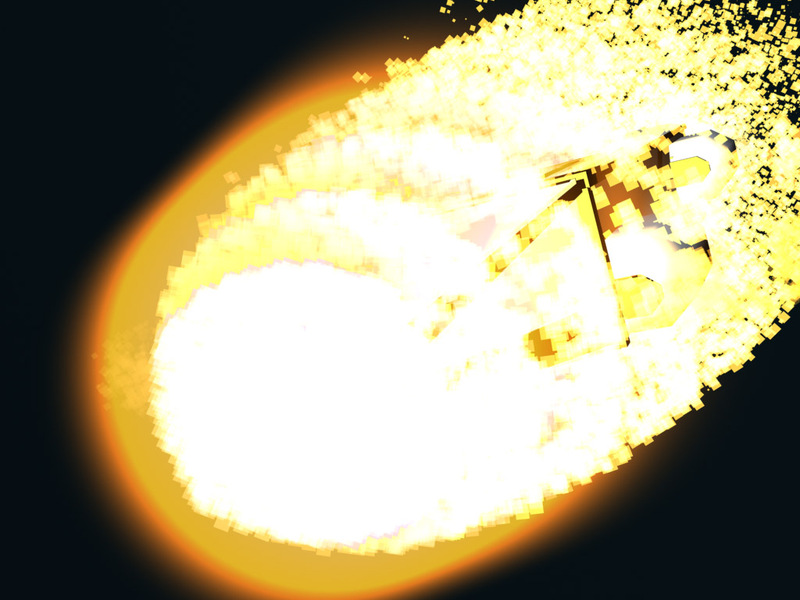 Frame from dropship re-entry animation. 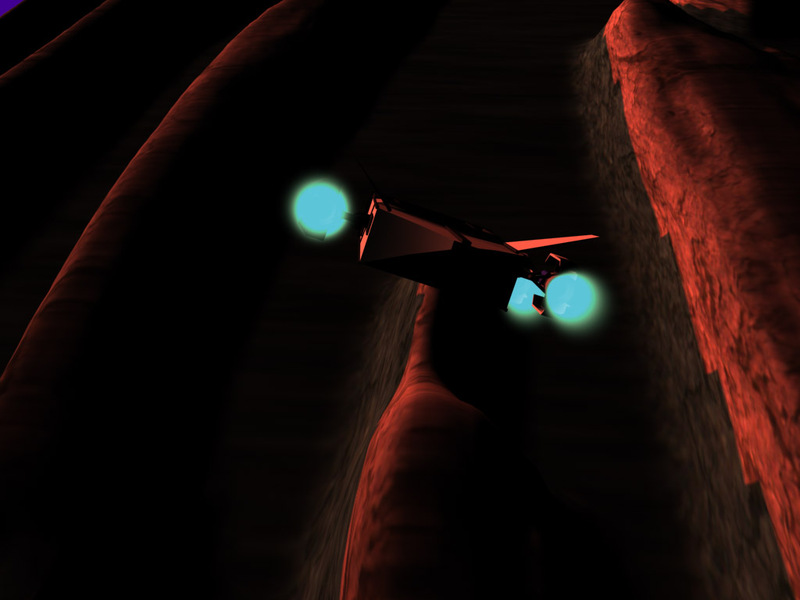 Another frame from dropship re-entry sequence. 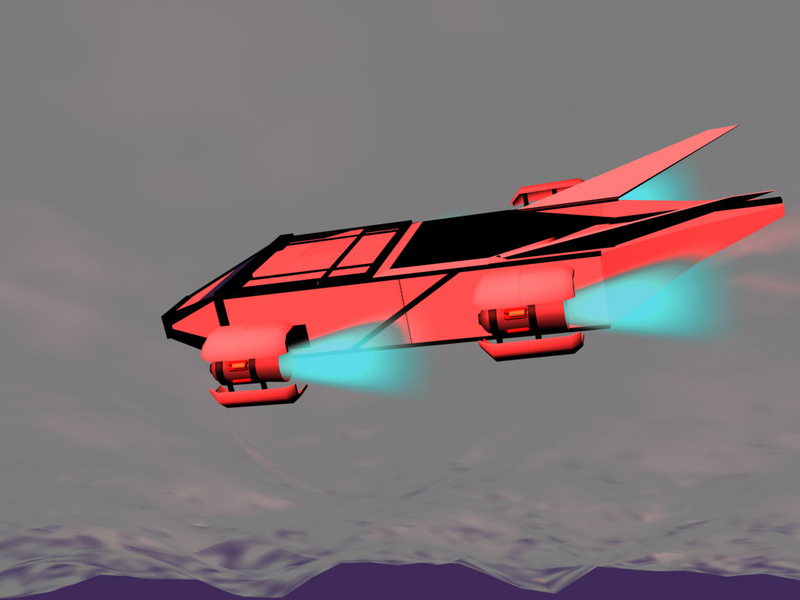 Frame from dropship flight animation. 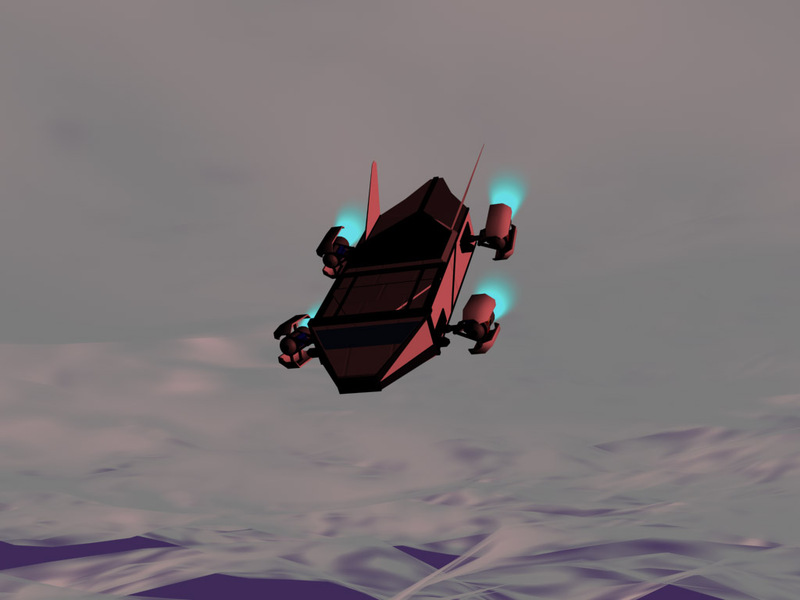 Another frame from dropship flight animation. 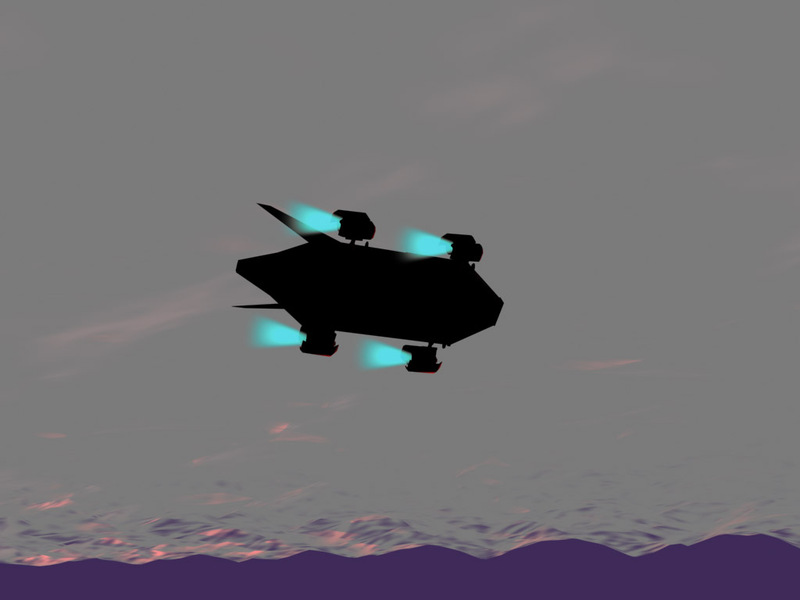 Frame from dropship landing approach sequence.